Pop Culture Shock Toys (PCS) was the second statue company to acquire the lincense to develop ThunderCats statues. Jerry Macaluso, a successful sculptor and movie developer / producer, started PCS to realize his long time passion for developing high quality collectibles. As a fan of the ThunderCats and comic books, Jerry has drawn inspiration for his statue line from the Ed McGuinness artwork from the popular Reclaiming Thundera series. 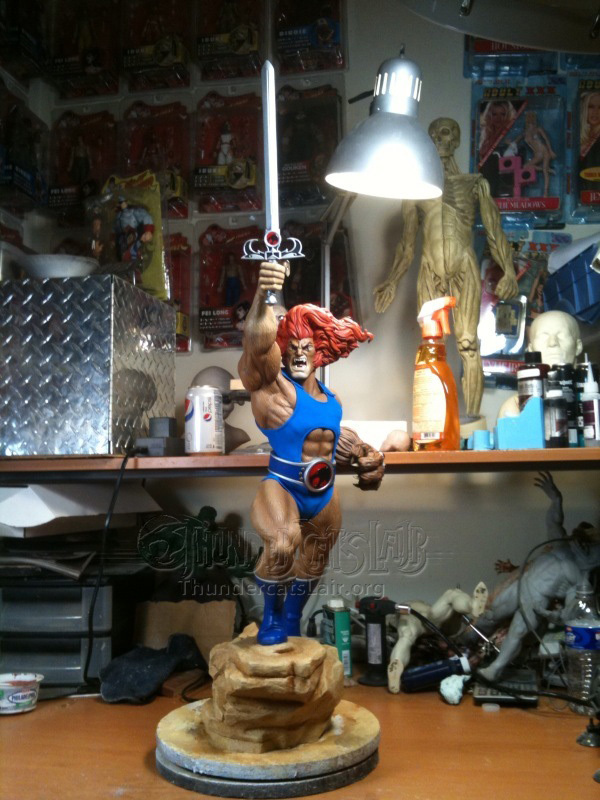 Pictured left is a ThunderCatsLair.org exclusive image showing the painted Lion-O statue which is pending approval and not an official final version at time of this posting. To give a sense of the size of the statues, Lion-O stands 34 inch high (base to sword tip).